These are not new releases, just some of my well-loved favourites! This is actually a recent addition to my make up collection and one that I had wanted since it was released but I had struggled to get my hands on it. You can imagine my excitement when I got the email to say it was back in stock. 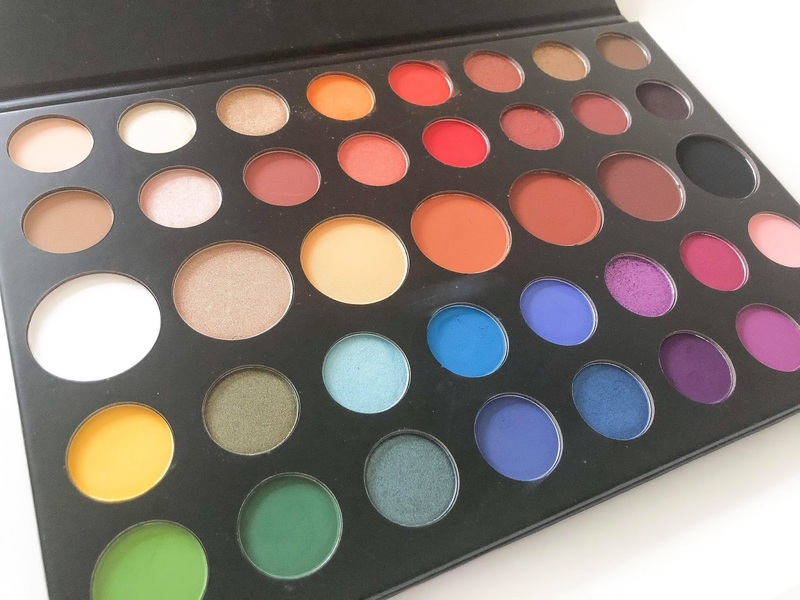 I just think that this is a really fun palette and not only are the colours absolutely beautiful, but they also blend so nicely too. The palette itself is absolutely huge, but I didn't really expect much different for a 39 shade palette but it's so worth the money. This season, I have been loving using the pink, orange and yellow shades to give a nice pop of colour but, as we get further into S/S, I'm definitely going to be experimenting more with the blue and green shades - just need to build up the courage for that first! I always find that you have to be so careful when using blue shades as it's so easy to accidentally mess up and look as though you've got a bruised eye which yknow, isn't my go-to look. 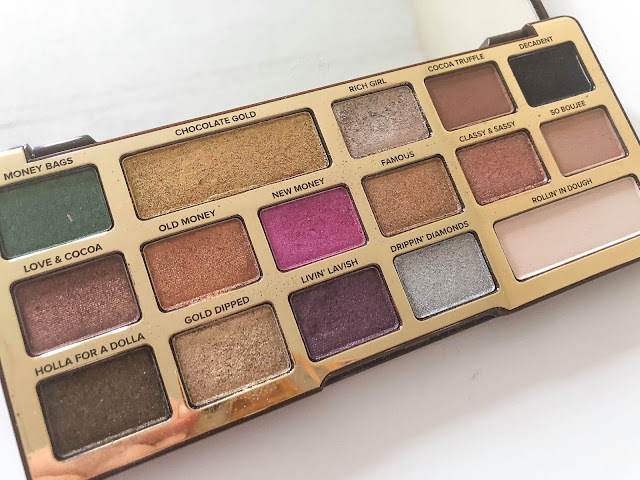 I do feel as though everyone and their nan has this palette, but it's pretty obvious why. 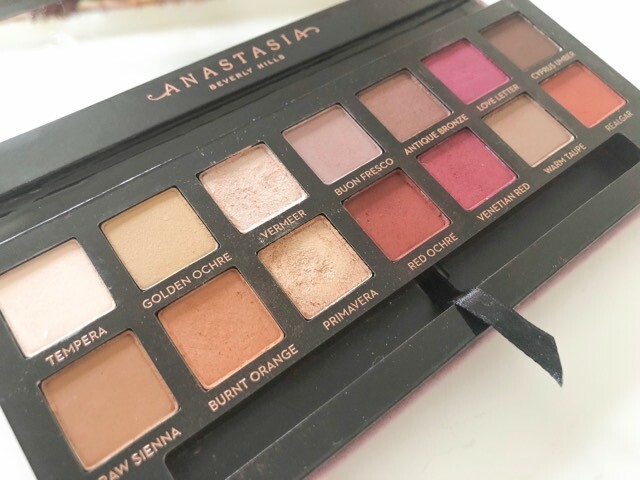 This is another one that I had wanted for so long but I just couldn't justify because of how many other palettes I have but I'm so glad that I finally have it now. 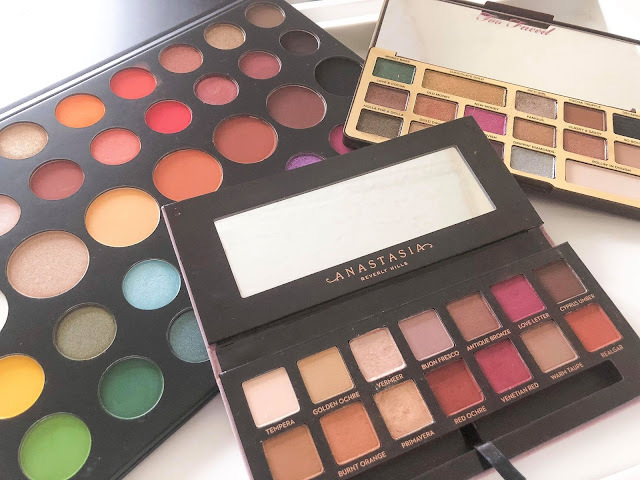 While I absolutely love the darker shades, I find that this palette is perfect for those days where you don't want to do a full dramatic eye but you still want to look like you've made an effort. So, I usually would blend a mix between 'Raw Sienna' and 'Burnt Orange' into the crease and then just, blend either 'Vermeer' or 'Primavera' all over the lid. This is super quick but it makes for a really pretty, simple look. I remember buying this for myself as a birthday present last year and thinking that I wouldn't get much use out of it in the S/S months due to the number of glittery shades and me associating it with more wintery/festive looks. However, this really hasn't been the case and I've found myself reaching for this palette regularly this year. This is one of my favourite palettes for a really glittery, bronzey eye look which admittedly, would look a lot better if I was able to fake tan without looking like a patchy wotsit, and thus, I am left looking very pale all of the time, but still. I would typically use 'So Boujee' all over my lid, with 'Cocoa Truffle' blended into my crease and outer corner of my eye. Followed by 'Love Cocoa' or 'Old Money' coming further into the eye. If I was feeling a bit extra, I would do a cut crease and pack 'Gold Dipped' or 'Chocolate Gold' onto the inner two-thirds of my lid but I'm quite lazy, so I'm more likely going to go for 'Rich Girl' or 'Classy & Sassy' (I just love the names of these) all over my lid for a more classic I-can't-really-be-bothered-to-do-anything-fancy look. What is your favourite make up product at the moment? Let me know below!